This journey began slowing in Amsterdam while revisiting world renowned art museums, touring hidden, off-the-beaten-path museums and gardens, cruising the historic canals and catching trains out of the city. Then it was time to hopscotch down to Croatia’s Adriatic Coast. 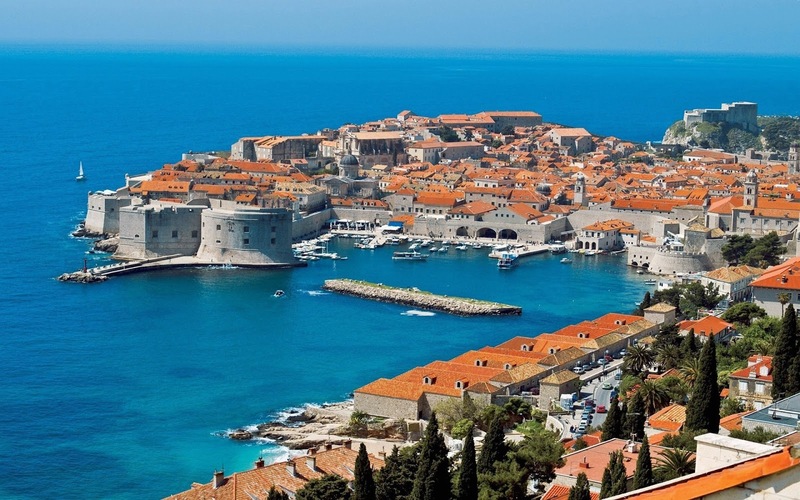 It began in the deep southern tip of Dubrovnik, then migrated northward, logging over 1400 miles, while navigating the most spectacular stretch of coastline in the world, the Dalmatian Coast. Playing hide-n-seek with the sea on one side and catching a glimpse of the coastal Balkan Mountains soaring in the distance. 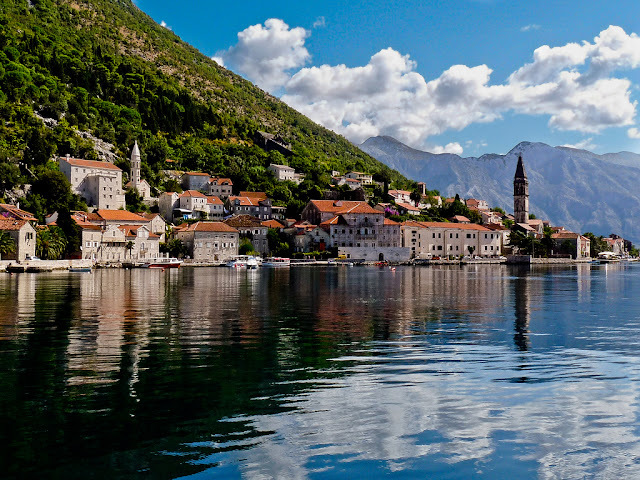 Traveling to the Republic of Montenegro was a real highlight, heading to the mouth of the beautiful of Bay of Kotor, the longest and deepest fjord in Southern Europe, where sailing by a small boat to the coast of Perast, where Our Lady of the Rocks, was waiting. Our Lady of the Rocks is a manmade island with a Roman Catholic church built by seamen to honor a vision of the Madonna and child. One historic element is the famous votive tapestry, embroidered by Jacinta Kunić-Mijović from Perast. It took her 25 years to finish, while waiting for her husband to return from exotic and faraway places. Legend weaves a story that she embroidered this iconic piece with gold and silver fibers and finally with strands of her own hair. Continuing on north, the trip went along the spectacular Adriatic coastal highway, past old fishing villages and new resorts, arriving in Split, the second-largest city in Croatia, on the eastern shore of the Adriatic Sea. Split is where the remnants of the Diocletian’s Palace still exist, a UNESCO site that honors Split’s Roman heritage. Then, zigzagging inland reaching the much-anticipated Plitvice Lakes National Park, one of the oldest and largest in Croatia, where 16 terraced lakes flow with natural turquoise water and majestic waterfalls. Hiking the mountainous region is a real challenge on this wet, foggy, and overcast day. The Istrian Peninsula is shared by three countries; Croatia, Slovenia and Italy, allowing a smooth segue across the border into tiny Slovenia with ease, the tiny country with “love” in its name. The journey went winding westward along the glistening Istrian Peninsula, stopping at the Bay of Kvarner, near the popular 5-star resort town of Opatija, often referred to as Opatija Riviera for good reason. Truly a magnificent vacation destination created by the Habsburgs and still frequented by the Europeans. It’s a beautiful town where you can reach out and tickle the azure Adriatic Sea, and enjoy Renaissance, Venetian and Gothic architecture that enriches the town's culture. After several hours the Julian Alps are within sight, rising up 2864 meters high at Mt. Triglav, continuing northwest, reaching Bled, Slovenia. Bled Castle dangles precariously high above the lakeshore with magnificent views and reflections in the mirrored lake waters. Before leaving Slovenia, visiting Ljubljana, the capital of Slovenia is a must-see, where it’s still an undiscovered treasure. Dragons are a prominent symbol in Slovenia, decorating historic bridges, castles and doorways. Ljubljana’s beauty is often compared to Prague with its eclectic mix of architectural beauty. After a few nights, sadly, leaving Bled and her stunning scenery behind, making the final push-transitioning south to Trieste, Italy. Trieste is a seaport in northeastern Italy, sitting on a narrow strip of territory between the Adriatic Sea and Slovenia, only 30 km from Croatia border. Nearing the end of the first 15 days of this three-part adventure, Venice, Italy is on the horizon. There were only a few days in Venice revisiting and strolling the Grand Canal and famous landmarks. Sadly, saying arrivederci to Venice after a few nights - pushing-on, making for the finale in Bordeaux, France for the next several days. This journey will continue with blog posts and images for the next several days and weeks to come, spotlighting several specific destinations. It's a magnificent adventure with highlights to share and destinations that some only imagine. Continue your travels here on Scribbles and Smiles, while enjoying traveling through Croatia, a once war-torn country in 1991-1995, find the love in Slovenia and imagine romantic sights in Venice, Italy. 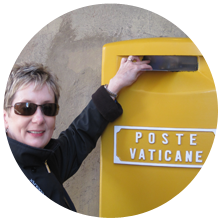 J. Christina is founder at Scribbles and Smiles, travel writer, and hobbyist photographer. She writes a personal travel blog from North America. Christina (Christie) is married to John, a.k.a. Mr. Christie. Mr. Christie is right on-board with their travel jaunts around the world - sharing in their blogging endeavors. He supports, encourages, handles gadgetry and embraces the role of editor - hence, their bespoke pen name, J. Christina.